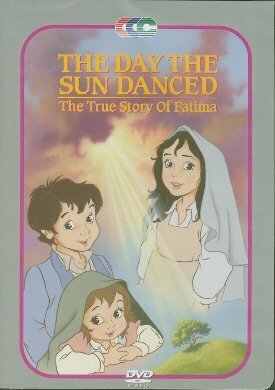 This film is based on the story of Fatima written for children by Fr. Robert J. Fox, produced in Hollywood and is done in animation. Children have a great attraction for films in animation, and this one will not only appeal to them, but has a message from heaven. It is one they will want to see again and again. The film is 30 minutes in length, and may be obtained from the ROSARY CENTER for $12.00 per DVD. A wonderful gift for children! Features include soundtrack in English, Spanish and French.